Marc by Marc Jacobs shows a real eye for design, with this pair of striped temple sunglasses. 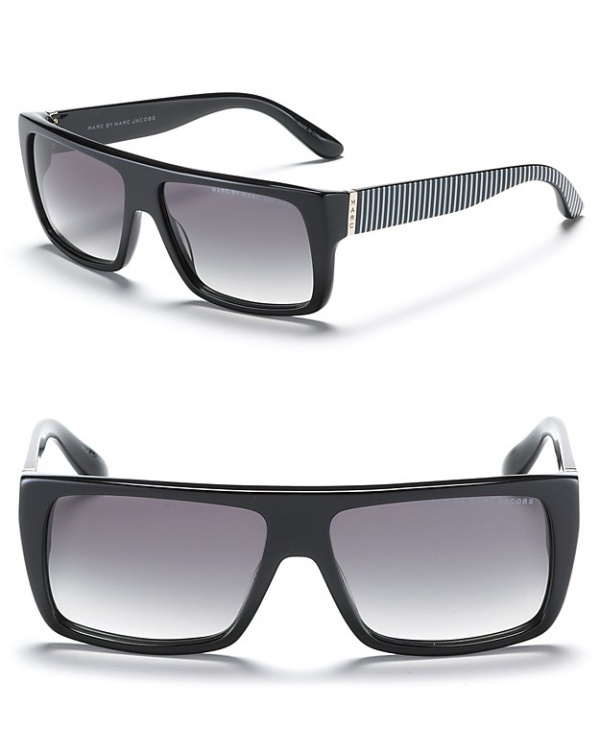 A pair of black squared sunglasses, the temples are decorated with white stripes. A great pair of sunglasses, perfect for the oncoming summer, you can find them online now.